The final draft of a previously leaked inspector general’s report does not let up on some tough criticisms of the General Services Administration. 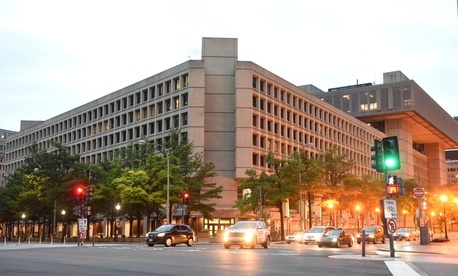 The version released on Monday said leaders misrepresented both the costs of a new plan to keep the FBI headquarters in downtown Washington and the role the White House may have played in the dramatic decision last April to cancel a planned move to the suburbs. The GSA report was requested by Rep. Gerry Connolly, D-Va., who is among the lawmakers harboring suspicions that President Trump may have had his own hotel business in mind when he abruptly ended the four-year bidding process for a new FBI complex in July 2017. The GSA chief, in commenting on a draft of the report, also questioned the IG’s oversight techniques as “improper” for conducting a “non-traditional,” multi-disciplinary review. The IG argued that such an approach is well within its authority under the Inspector General Act. Connolly on Monday issued a lengthy statement calling for hearings and subpoenas on GSA officials “who misled Congress under oath.” He said he had requested the review—decisions to launch investigations are up to the IG—because “I was concerned that the administration’s decisions to cancel and amend the procurement would further delay the delivery of a new FBI headquarters and cost taxpayers more money,” he said. “I also suspected that President Trump was more involved in this procurement than administration officials were letting on in their sworn testimony to Congress. The Trump International Hotel is across the street from the J. Edgar Hoover Building, and the Trump Organization has a longstanding and documented interest” in the property on which the crumbling J. Edgar Hoover building has housed the FBI since 1975.